Beano One Zero (Nought, Nil, Nothing), 2017. 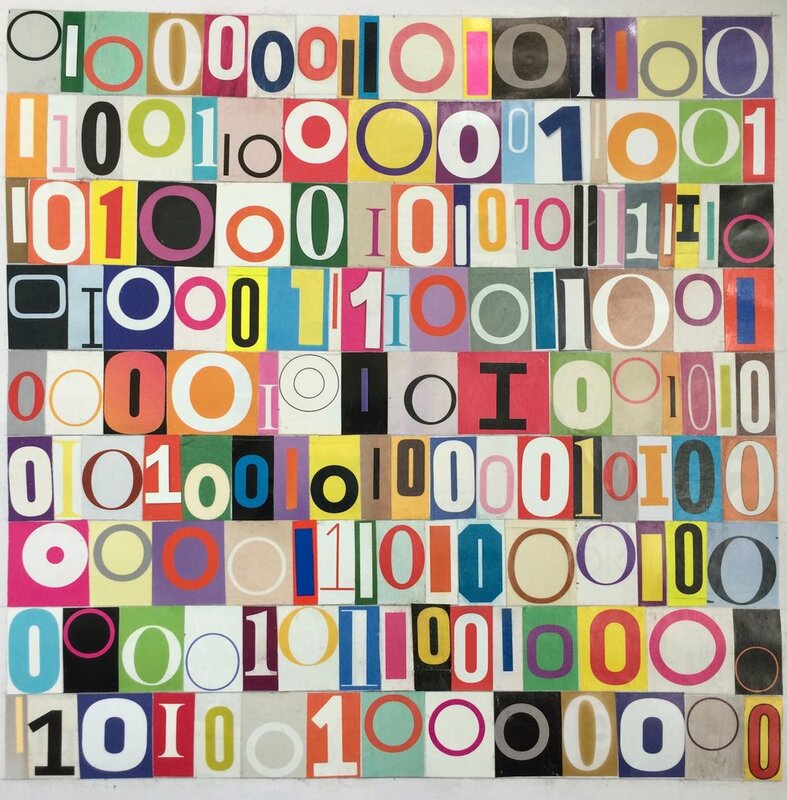 A colourfully arranged square of 3cm high ones and zeros cut from advertising and lifestyle magazines. Beano One Zero (Nought, Nil, Nothing), 2017 (detail).